Septic tank pumping is necessary and vital maintenance to keep your septic system running properly. A-1 Pumping & Excavating offers comprehensive and affordable residential and commercial septic tank pumping to customers in the Sioux Falls area. Experts recommend having your septic tank pumped every 2 to 3 years to maintain a healthy balance in your septic system. Septic systems and septic tanks vary in size and the amount of use they receive. We can help you determine how often you need your septic tank pumped, depending on the size of your tank and the number of people using your system. Call A-1 Pumping & Excavating to schedule a septic tank pumping appointment today or sign up for our Septic Management Plans. A-1 Pumping & Excavating offers full service septic tank cleaning. Our experienced septic tank technicians will carefully locate your septic tank and fully empty your tank of all build up and septic debris. Properly performed septic tank cleanings will ensure that you are good to go for another 2 to 3 years of regular septic use. The longevity of your septic system relies on regular and thorough septic tank cleaning and septic tank inspections. Over time your septic system accumulates sludge, scum, biomat, solids and liquids. All of these elements of your septic system are normal and important for the health of your system. Septic tank cleaning will remove all of the normal and excessive build up and give your septic system a fresh start. 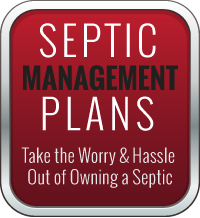 Most importantly, septic tank cleaning will prevent sewage backups in your home or business. If it has been a handful of years since you have had your septic system pumped and cleaned you may want to consider contacting A-1 Pumping & Excavating to schedule a septic tank pumping appointment. 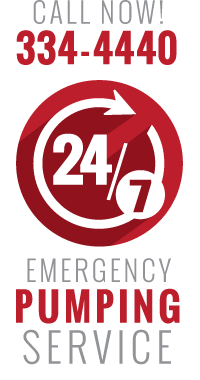 At A-1 Pumping & Excavating, we will guarantee our work and handle all of the necessary aspects of having your septic system pumped.